Weight loss boot camp workouts endure because they are a combination of three basics of any fitness program, including agility, cardio, and strength. Usually, military and athletic training drills are used along with highly choreographed moves. A typical boot camp workout is a combination of intense aerobic exercises with resistance and muscle building exercises along with the challenges that boost coordination and flexibility. The fast-paced and vigorous regimen spikes your heart rate so that you can burn a greater number of calories. Regular boot camp training builds muscles and burns fat, increasing weight loss while supporting the maintenance of a healthy weight. 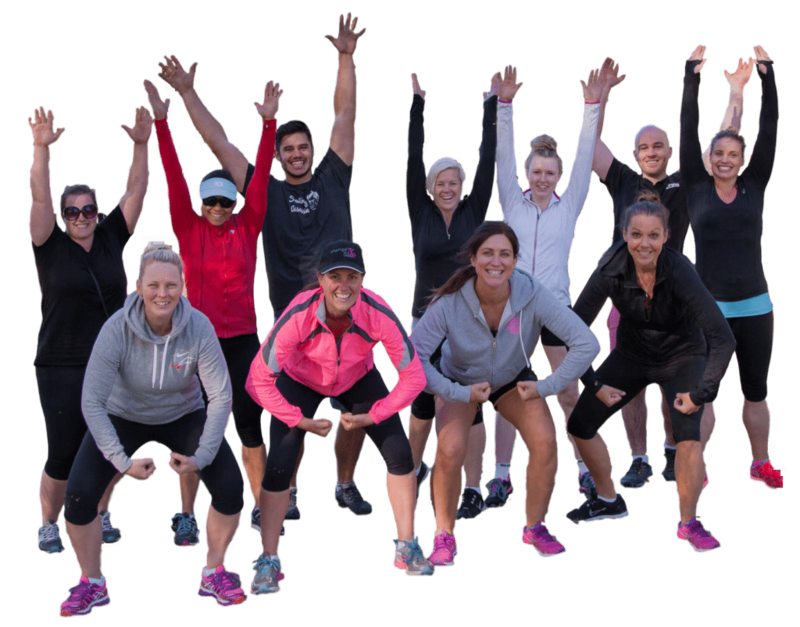 When selecting a weight loss boot camp, make sure you go for something that suits your goals such as a program that features a significant amount of cardiovascular activity. A minimum of 150 minutes of moderate/vigorous aerobic exercise per week would work best. Cardiovascular activity can involve skipping, sprinting, navigating an obstacle course, dashing up long flights of stairs, doing calisthenics like burpees and jumping jacks. A good boot camp workout should strengthen your upper body as well as your core and lower body muscle growth. Hit multiple muscles, joints, and tendons with compound exercises like lifting a dumbbell while doing triceps extensions or deep squats paired with lunges. Other exercises like pull-ups, pushups, abdominal crunches, and bicycling are also helpful. The muscle that you gain replace the fat while raising your resting metabolism so that you can burn more calories around the clock. The different variety of exercises in a weight loss boot camp provides an interval training workout. The purpose is to raise your heart rate with an intense activity for about thirty seconds to a couple of minutes. Then reduce the pace to rest for one minute and spend the next few minutes doing a moderate activity before engaging in another intense activity. As you keep losing weight, you burn fewer calories doing the same exercises, which is why you need to add challenges to the boot camp regime. You can do that by either lengthening your speed interval or shortening the rest period. Also, add more cardiovascular movement and work out longer. When doing strengthening activities, use heavier weights. If your boot camp program involves race-walking, running or jogging, then use a hillier route or the one that has a steady uphill grade. Structure the boot camp workouts like a circuit; for instance, plan to do ten to twelve exercises in a row with little or no rest in between. Set a time limit like thirty to ninety seconds for each exercise. Another way to structure it is by a number of repetitions like fixing the target of one hundred pushups. It is recommended to warm up before the workout with light cardio moves like dynamic stretching or marching in place. You can have boot campers do torso twists, knee hugs, and body-weight squats. The outdoor environment allows you to be more creative with the workout. You can head to a playground or park where you push your participants beyond their limits. For example, use a swing for suspension training. Participants can get into pushup position with their ankles resting on the swing’s seat and pull the knees to the chest or do pushups for a challenging jack-knife variation. You can also use the park bench for dips and step ups, while a grassy area is suitable for doing sprints. Boot campers can do traditional moves as well, like prisoner squats, jump lunges, mountain climbers, and burpees to round out the outdoor workout. The equipment that can be used in weight loss boot camps includes resistance bands, medicine balls, and fitness benches. 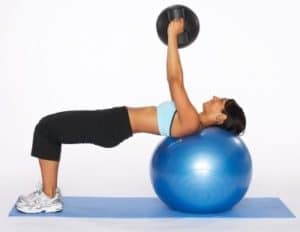 You can incorporate medicine balls into partner drills; for instance, have two candidates face each other and jog sideways as they pass the ball. For single-person drills, the ball can be used for lunges with rotation and pushups. Resistance bands can be easily used both indoors and outdoors for side-stepping abductor strengthening and to simulate pull-downs. Avoid the use of fitness bench for step aerobic moves and instead, use it for uncomplicated cardio drills, like plyometric jumps. Portability: The exercises that you learn from weight loss boot camp can be done almost anywhere with minimal equipment so that you learn new ways to exercise anywhere. Motivational: Exercising with a group of people enhances built-in motivation. Uniqueness: Boot camp workout can break up the monotony and boredom of the same old cardio or gym workouts. Efficient: In each one-hour session, you can get your entire body strength along with a cardio workout. Low cost: Sharing the personal trainer reduces the cost. Interval training emphasis: It is the perfect way to regularly perform interval training. Educational: Most boot camp instructors begin and end the session with some health, nutrition and fitness education, so you learn as you train. Limited personal instruction: According to the number of people in your class, the instructor may not give you enough feedback regarding your technique and form as well as injury prevention. Steep learning curve: The first week of the camp is usually frustrating as you learn the routines and suffer from soreness due to starting a new routine. To get the best results, you need to stick to the workout for at least a month or more. Scheduling: Most of these camps are scheduled for early evenings and early mornings, which can be impractical for some. One size fits all: The weight loss boot camp workout is designed with some basic exercises that can accommodate a variety of different fitness levels, but often, the workout plan needs to be altered to fit your personal fitness level and goals. The instructor matters: A successful workout is dependent on the instructor’s knowledge and training as well as their personality and enthusiasm. The 30 Day Ab Challenge: Can You Really Lose Weight in One Month ?